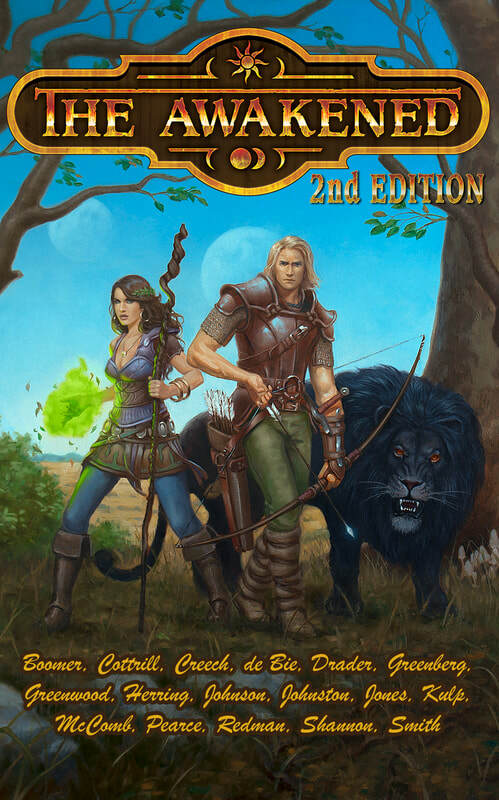 Fans looking to get their hands on The Awakened series should look for TPK Games at their local Midwest conventions. Hal Greenberg and TPK Games have joined forces to support the expansion of this great book and both are excited about this new partnership. TPK Games will be the official “The Awakened Headquarters” at any convention they attend and will have all of The Awakened series currently available for purchase. Forces of Geek Choose The Awakened for 2013 Gift List!!! The Awakened﻿ has been chosen for Forces of Geek 2013 gift list for books! 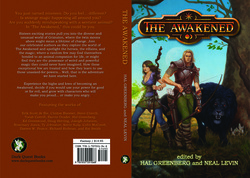 The Awakened-Book I Second Edition, Now Available! You just turned nineteen. Do you feel... different? Is strange magic happening all around you? Are you suddenly mindspeaking with a sentient animal? On the world of Grimaton, turning nineteen is more than just a rite of passage into adulthood. When the two moons cross, it can also change your life forever. Join a collection of wonderful authors as they bring together sixteen different perspectives on the world of the Awakened. Enjoy stories about newly awakened, those without the gift, and a few who have hidden their power; for good or ill. Learn how they interact with each other and who believes they’re on the right side of a much larger conflict. Click the cover to the left to find this title now on Drivethru Fiction. 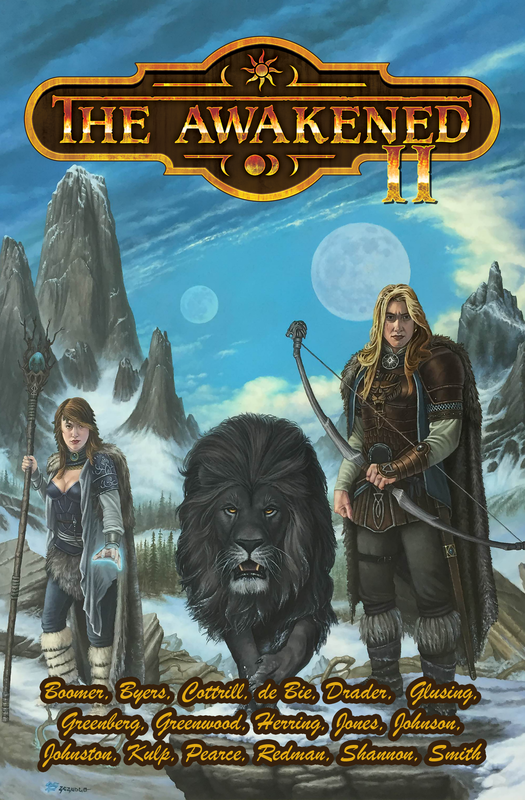 The Awakened-Book II, Now Available! The Awakened II brings together seventeen amazing authors to tell their stories of triumph, failure, fear, and acceptance. Enjoy new stories with the heroes and villains from Book I. Meet entirely new characters as interesting and dynamic as the rest. 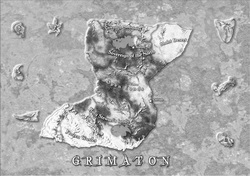 Return to the world of Grimaton and watch as its remarkable history continues to grow. When the moons cross, anything can happen.